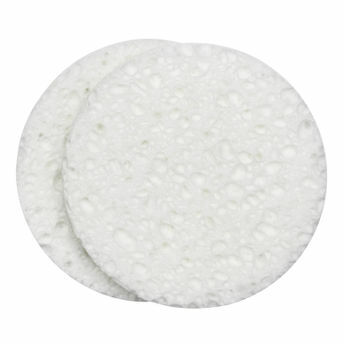 Facial sponge is the best tool for cleansing and removing makeup. QVS 2 Natural Cellulose Facial Cleansing Sponges are made to aid you in removing impurities, makeup from face. These sponges are made from 100% plant extract. Helps to dislodge excess oil, dirt and blackheads. It can be used for regular cleansing. Cleans and lightens up your dull complexion. These sponges are available in different size and shapes. Additional Information : QVS are the experts in cosmetic tools. From brushes to brows, flawless faces to fabulous fingernails, QVS has product to suit every application. QVS 2 Natural Cellulose Facial Cleansing Sponges is a great addition to your makeup kit. Explore the entire range of Sponges & Applicators available on Nykaa. Shop more QVS products here.You can browse through the complete world of QVS Sponges & Applicators .